Mainstream conservative critics of the Obama administration’s foreign policy regularly accused the President and his team of inaction. Across talk radio and cable news the argument was a straightforward one: Obama’s inaction in office led to the rise of ISIS and the emboldening of America’s enemies. One of the reasons the Benghazi scandal caught on was because it embodied this broad criticism. That the Senate hearings did not produce anything condemning was immaterial given the symbolic value the scandal held. One does not have to look very hard in conservative circles to see there was a desire to “return to action” throughout the 2016 election. Abandoning the perceived “retreat” undertaken by Obama was a major theme. Marco Rubio warned of “disengagement.” Ted Cruz said, “we now know what the world starts to look like without America.” Even John Kasich—considered by pundits to be the moderate of the Republican field—mourned that “our allies feel neglected and abused.” But the biggest applause lines came for Trump’s calls to “bomb the hell out of ISIS.” It was Trump who openly called for killing the family members of terrorists. For an electorate whose broad perception of the last decade of foreign policy was one of retreat, it’s not hard to see how Trump’s calls to “get tough” resonated. Democrats unfortunately cannot escape blame for letting this kind of rhetoric escalate. Where Republicans sought an active alienation of their voter base from the “actually existing” foreign policy of the US, Democrats encouraged a passive alienation. When the Obama administration did kill the families of terrorists or became one of the largest arms dealing administrations since World War II, there was passive acceptance or ignorance of these events in mainstream liberal circles. None of this is to say that what Obama pursued and what Trump has signaled he will pursue are the same—but that the general antipathy towards foreign policy in mainstream discourse gave the Republican narrative room to grow. For the Yemeni people however, the Obama doctrine’s so-called “inactivity” and “retreat” was no such thing. The material and intelligence support provided to the Saudi-led coalition at war in Yemen saw repeated bombing of Yemeni civilian targets. Attacks on schools, hospitals, weddings and funerals became the fabric of the war. It saw the continued destruction of infrastructure, cutting off vital supplies like food and medicine—leading to widespread starvation quickly approaching a legally recognized famine. The Obama administration was active in enabling and carrying out the violence in Yemen. As Donald Trump takes the helm of American foreign policy, his promise to get tough in tow, the situation only looks to become worse for the beleaguered country. A policy driven at least in part by a need to show force has already started to change the US role in the Saudi-led war. The biggest story regarding Yemen in years is how Trump’s raid killed a Navy SEAL, several civilians and an eight-year-old American citizen. The raid was criticized for its poor planning, the initial reluctance of the government to admit civilians had been killed and the questionable information they provided to justify the raid in the first place. The raid is quickly coming to resemble the story of incompetence and failure congressional Republicans told about Benghazi, more so than the facts and causes of the actual attack on the consulate. Of course, pointing out this hypocrisy has its limits. As those living and reporting on Yemen can attest, a professionally planned action can still have a disastrous human cost. But, the Trump administration’s first raid is unlikely to generate the kind of inquiries and outrage among congressional Republicans that Benghazi did. In a post-Church committee environment, the government inquiries about foreign policy rarely ask substantive questions regarding the basic assumptions about policy in the first place. Less reported but equally dangerous is the call President Trump and King Salman had the week of the raid wherein the two agreed on the need for “safe zones” in both Syria and Yemen. Establishing a safe zone would require a significant US or Saudi troop presence on the ground in Yemen to maintain. The possible inclusion of US forces needed to maintain a safe zone would likely see the proliferation of counter-insurgency operations in Yemen, a tactic under fire for its questionable effectiveness in Iraq and Afghanistan. At worst, it would become another open-ended occupation as mission-creep sets in. At the basest level of realpolitik, one of the lessons of the decade-plus long occupation in Afghanistan should be that open-ended occupations don’t even achieve strategic goals. If history is any guide, it is not far-fetched to see a US presence in Yemen become semi-permanent in the name of “doing something” to correct perceived previous inaction. The Trump administration’s most dangerous action in regard to Yemen is the extent to which they have tied the conflict to Iran. Although the Obama administration concluded the Houthis—the ostensible enemy of the Saudi-led coalition—were not direct proxies of the Iranians despite receiving some material aid from them, the Trump administration has seemingly rejected this view. Using the war to saber-rattle about Iran, Sean Spicer claimed the Houthi attack on a Saudi ship was an Iranian attack on a US ship. That this claim came a day after Michael Flynn’s putting Iran on notice and Trump’s repeated tweets about both Iranian weakness and danger suggests the development of an incredibly dangerous trend. A war with Iran would have unimaginable human cost and no gains. 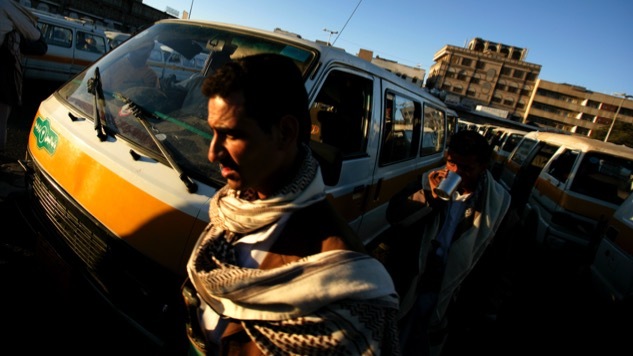 The push to “do something” quickly pushed Yemen into a potentially bloodier future. Getting tough has meant endangering Yemeni students and breaking up families. At its absolute worst, the crisis in Yemen has been used for belligerent ends elsewhere. There are no winners: particularly the average Yemeni people who were regarded with indifference in the Obama-era of the war and are now declared evil by President Trump. Editor’s Note: This article was amended to remove the following sentence from the end of the first paragraph: That the attack on the consulate was allegedly the result of covert action undertaken by the administration—and not the product of inaction as the Republican critics stated—mattered even less.